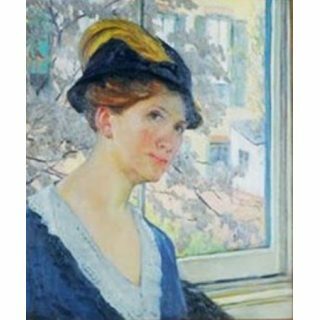 Born in Alton, Illinois, Agnes Richmond was a specialist in portraits of women in a variety of social strata. Her landscape backgrounds, both urban and rural, reflected their circumstances. Her portraits often had bright colors and showcased the fashions of the time period. She studied at the St. Louis School of Fine Arts before moving to New York in 1888. She studied at the Art Students League with John Twachtman, Walter Appleton Clark and Kenyon Cox, and from 1910 to 1914, she taught at the League. She spent most of her life in Brooklyn excepting summers in Mountainville, New York. 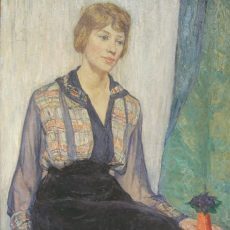 She exhibited widely including the 1915 Panama- Pacific International Exposition in San Francisco and the Academy of Design from 1908 to 1927. Richmond was married to the artist Winthrop Turney and was active in women's suffrage and the promotion of socialism.